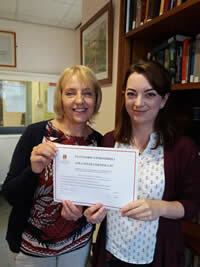 The Archives and Special Collections has benefitted considerably from the services of students and school pupils on work placement over the years and in 2014 the service started a volunteering scheme. 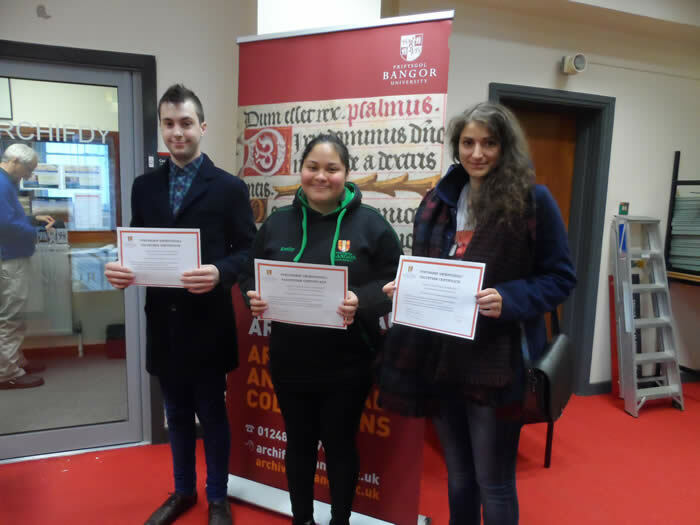 The scheme has proven very popular, attracting Bangor University students as well as members of the community to volunteer and gain valuable experience. 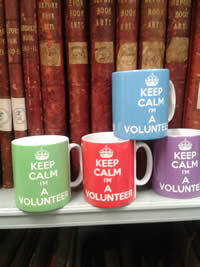 We wish to support and encourage volunteers and hope to provide them all with a rewarding and enjoyable experience. For further information about our scheme, consult our volunteering policy or if you would like to register your interest in volunteering at the Archives and Special Collection please complete our Enquiry form and return it to us via email, post or in person. Many thanks to our volunteer, Claudia Williams for clocking up a substantial 210 hours at the Archives over the last 18 months (2016-2017). We wish her every success at the University of Liverpool with her post-graduate studies in Archives and Records Management. She will be greatly missed! The Archives and Special Collections would like to extend a big thank you to all our volunteers who were presented with certificates in June 2015 for their hard work. They have all been involved in a variety of tasks, from creating box lists and cataloguing to inputting statistical data onto spreadsheets and creating acid free packaging for manuscripts. The group as a whole managed to clock 422 hours of work with us! at the Archives and Special Collections in 2014-2015.